If multiple Zoom Rooms join a meeting, the first one to join becomes the meeting host. You can switch host control to another Zoom Room by using the Host Key. Start a meeting for which you are the host. Join the meeting from a Zoom Room. 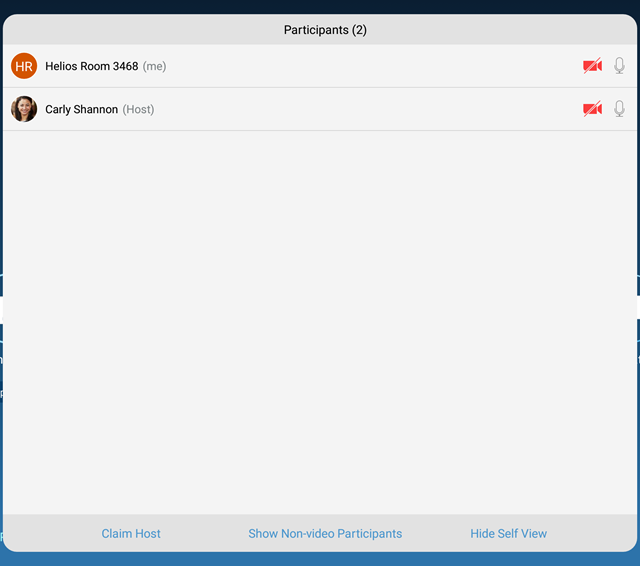 Tap the Manage Participants icon on the Zoom Rooms iPad Controller. The Participants list displays. Click Claim Host (at the bottom of the Participants list). A dialog displays that allows you to claim the host role. Enter your 6-digit Host Key, then tap OK. The Zoom Room is now the host of the meeting. Note: To find your host key, log into your Zoom account and scroll to the Host Key setting on the My Account page. If the Host Key is hidden, click Show to reveal the 6-digit number.